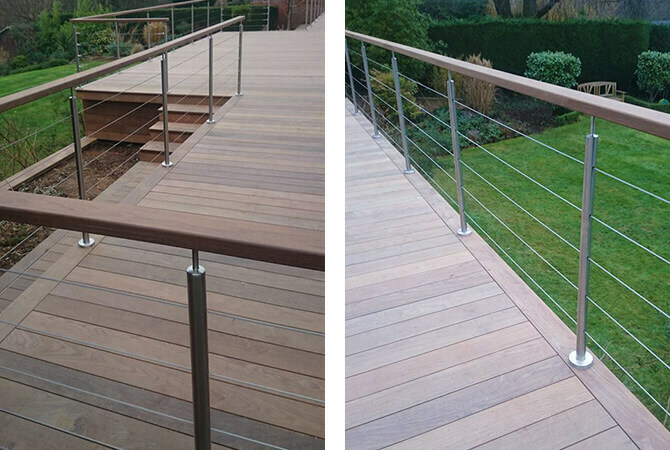 Our Stainless steel tubular mount wire balustrade used for a deck in Hertfordshire, creating a stylish and clean design. 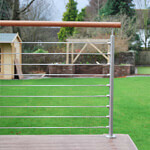 Having a wire infill provides additional safety yet creates a unobtrusive finish, perfect for maintaining the view. 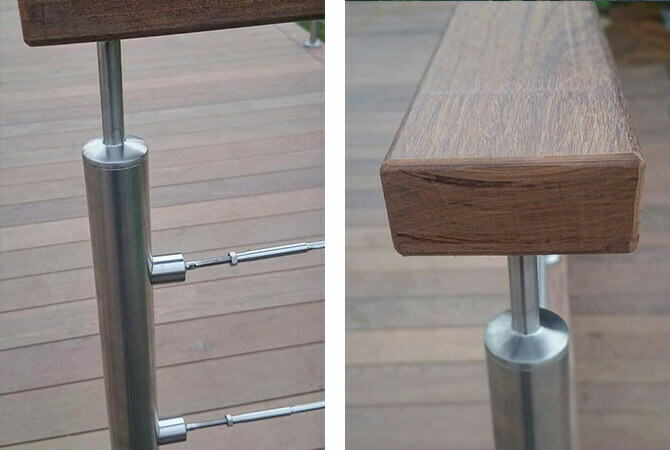 Our balustrade wire assemblies are manufactured from 316 grade stainless steel, making them great for exterior use.